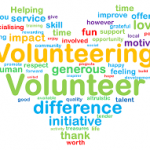 Do you want to get involved in our great community by volunteering? Perhaps you are a student in need of achieving your required volunteer hours. The Tavistock Fall Fair and the Tavistock Ag Society welcome you! Speak to any one of our Board of Directors or Convenors for more information. It’s a great way to make a difference in YOUR community!